The Realme U1 is expected to give a tough fight to Xiaomi's newly launched Readmi Note 6 Pro. It has a 3GB RAM/ 32GB inbuilt storage base variant priced at Rs 11,999 and a 4GB RAM/ 64GB inbuilt storage model priced at Rs 14,999. Realme U1, branded as selfie Pro phone, will go on sale today at 12 pm on Amazon India and Realme.com. 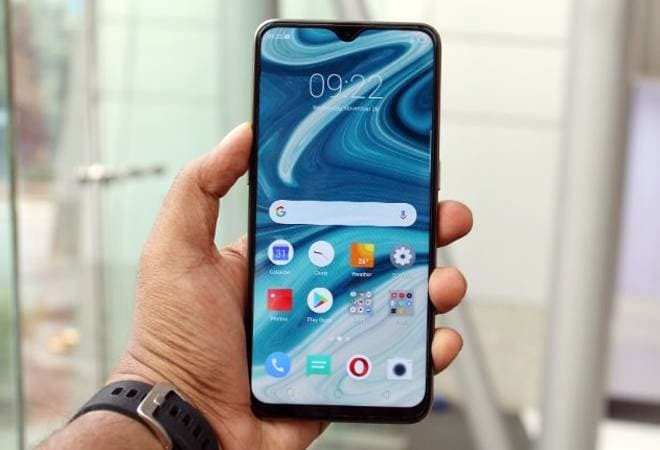 Realme, an Oppo sub-brand, has captured the mid-range market of India in just over 6 months and has carved a niche for itself. The Realme U1 is expected to give a tough fight to Xiaomi's newly launched Readmi Note 6 Pro. In terms of specifications, the Realme U1 phone comes in two variants. It has a 3GB RAM/ 32GB inbuilt storage base variant priced at Rs 11,999 and a 4GB RAM/ 64GB inbuilt storage model priced at Rs 14,999. It is a dual nano-SIM phone that includes a 6.3-inch FHD+ display with dewdrop notch. It runs ColorOS 5.2 based on Android 8.1 Oreo. The phone's optics include a dual rear camera setup at the back with a 13-megapixel primary sensor with an f/2.2 aperture and a 2-megapixel secondary sensor with an f/2.4 aperture, coupled with an LED flash. At the front, the Realme U1 has a 25-megapixel camera with an f/2.0 aperture, 1.8-micron pixels, and 4-in-1 pixels tech. That's not all - the selfie-centric phone also comes with Portrait Lighting, Slo-Mo video (up to 90fps) and AI Scene Detection. Realme has also said that the U1's AI Beauty+ mode is optimised for Indian complexions, featuring 296 identification points. The phone also has a Smarter Groupie feature that gives customised beautification for several people in a single photo. Realme U1's connectivity options include Wi-Fi 802.11 a/b/g/n/ac, Bluetooth 4.2, GPS/ A-GPS/ GLONASS, micro-USD port, OTG support, and 3.5mm audio jack. Sensors on board include ambient light sensor, gravity sensor, gyroscope, and proximity sensor. There is also a fingerprint sensor on the rear panel. During the sale, users having SBI Credit cards can buy Realme U1 with 5 per cent additional discount. Realme U1 can also be bought via the No Cost EMI payment mode. Meanwhile, Reliance Jio is offering 5,750 cashback and 4.2TB of free data with the phone.